COLLEGE STATION, TX (KTRK) -- Texas A&M University released the school's proposed campus carry rules on Wednesday, and it includes guns in classrooms and residential areas. Campus carry goes into effect on August 1 of this year and allows licensed gun owners to have their guns in facilities owned or leased by the Texas A&M system. Below is a summary of the proposed campus carry rules, released by Texas A&M. 1) Each Texas A&M System university and agency CEO has established these rules after consulting with the entity's students, staff, and faculty concerning the nature of the student population, specific safety considerations, and the uniqueness of the campus environment. These rules have been reviewed by the A&M System Office of General Counsel, approved by the Chancellor for submission to the Board, and will be reviewed by the A&M System Board of Regents on April 27, 2016 as required by law. 2) The rules generally address the right of a license holder to carry a concealed handgun on the land and buildings owned or leased by the Texas A&M System university or agency. Also, each rule has an appendix summarizing and listing the pertinent state statutes which potentially prohibit the possession of firearms in certain campus locations. None of the university rules prohibit a license holder from carrying a concealed handgun in classrooms or residential facilities owned and operated, or leased and operated, by the institution. 3) Three Texas A&M System universities (Prairie View A&M University, Texas A&M International University and Texas A&M University-Corpus Christi) have residential facilities that are leased and operated by a third-party management company, and these institutions do not oppose licensed concealed carry in campus residential facilities. However, their rules acknowledge the property rights of the management company, which include the company's right to determine restrictions on the possession and storage of weapons in those facilities. 4) All A&M System agencies having premises located on the campus of Texas A&M University will follow the university's rule with respect to those premises. 5) All Texas A&M System member rules authorize the university or agency CEO to prohibit concealed carry in that member's premises, as necessary for institutional safety, on a temporary basis pursuant to Section 30.06(b), Penal Code. 6) Most Texas A&M System rules address situations in which the member is leasing premises to a third party. 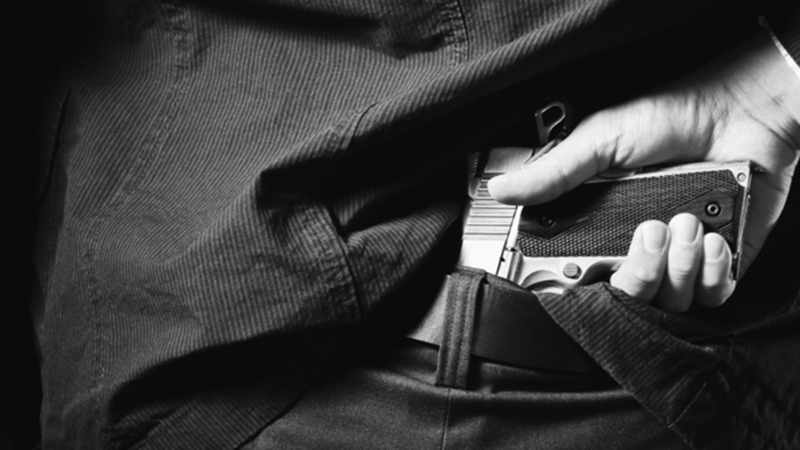 In these situations, the member will defer to the property rights of the lessee concerning whether concealed handguns, carried by license holders, are prohibited on the premises. 7) The rules proposed by Texas A&M System CEOs will prohibit licensed carry of concealed handguns in certain campus locations, and effective notice under Tex. Penal Code section 30.06 will be provided in such locations. Below is a listing, by category of facility, of the facilities or areas where licensed concealed carry would be prohibited, and the specific universities and agencies which propose each restriction. President Gregory L. Fenves made the announcement in a letter sent to students and faculty Wednesday.